China-sponsored Asian Infrastructure Investment Bank (AIIB) has approved USD 2 million loan (Rs. 13,000 crores) for five project in Andhra Pradesh. 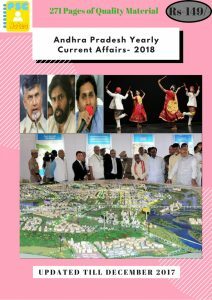 Months ago, the state government had sent proposals to the Union Government seeking aid for five projects which includes two roads and buildings department, one each for rural safe drinking water department, municipal and urban development department and Panchayat Raj department. The Union Government then recommended those proposals to Asia Infra and Investment Bank for further help and clearance. Turki Al-Asheikh, Chairman of the General Sports Authority of Saudi Arabia announced that Saudi women will now be able to attend sports events in stadiums starting from 2018. The move is aimed at empowering and engaging women in the society as an integral part of the development process. All these changes support Saudi Arabia’s “Vision 2030” plan for economic and social reforms. 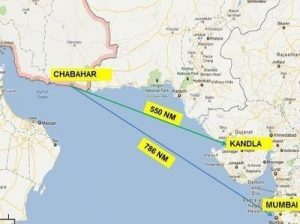 Iran’s key strategic port of Chabahar became operational with the maiden shipment of wheat from India to Afghanistan. It was flagged off from Kandla port in Gujarat. This is a major push for India’s Afghan outreach bypassing Pakistan for the first time under the 2016 Indo-Afghan-Iran trilateral pact. Rashtriya Ekta Diwas (National Unity Day) is observed on 31 October every year in India. This day marks the birth anniversary of Sardar Vallabhbhai Patel, who played an instrumental role in integration of princely state with Indian Union post independence. Sardar Vallabhbhai Patel is also known as Iron man of India. Celebration of October 31 as ‘Rashtriya Ekta Diwas’ was announced by Prime Minister Narendra Modi in 2014. Several programmes are being organized across the country on this occasion. Anupam Kher received Parmod Mahajan Smriti Awardin Pune. He is the current Chairman of Film and Television Institute of India. Saira Banu, who moved Supreme Court seeking a ban on instantaneous‘Triple Talaq’ among Muslims is the second recipient of Pramod Mahjan Smriti Award. The awards were presented by Union HRD Minister Prakash Javadekar. The award was instituted by Pune-based organization ‘Muktachhand’ in memory of Late Pramod Mahajan who was the leader from Bharatiya Janata Party (BJP) and a former Union Cabinet Minister. Union Minister of State (Independent Charge) Shri Giriraj Singh launched MSME Delayed Payment Portal – MSME Samadhaan. It will micro and small entrepreneurs across the country to directly register their cases relating to delayed payments by Central Ministries/Departments/CPSEs/State Governments. Shri Arun Kumar Panda, Secretary, Ministry of MSME along with other dignitaries and senior officials from the Ministry were also present. As per the provisions, the buyer is liable to pay compound interest with monthly rests to the supplier on the amount at three times of the bank rate notified by Reserve Bank in case he does not make payment to the supplier for the supplies of goods or services within 45 days of the day of acceptance of the goods/service or the deemed day of acceptance. Moving ahead with reforms in the public sector banking space, the government has constituted a ministerial panel headed by Finance Minister Arun Jaitley that will oversee merger proposals of state-owned banks. The other members of the panel include Railway and Coal Minister Piyush Goyal and Defence Minister Nirmala Sitharaman. The panel will oversee the proposals coming from boards of PSBs for consolidation.